February 14, 2017 - Dino's at Pine Ridge 30605 Ridge Rd. April 11, 2017 - Auburn Career Center 8140 Auburn Rd. June 13, 2017 - St. John Vianney 7575 Bellflower Rd. ​November 14, 2017 - St. John Vianney 7575 Bellflower Rd. Lake County RTA was founded on August 4, 1966 at the Painesville City Board of Education office. There a meeting was held with Robert L. Fleming from Youngstown and past president of ORTA and a group of retired public school teachers to discuss the formation of Lake County Chapter RTA. The original people in attendance included Nell Giffin, William Snell, Oren Casey, Ruth Shaw, Marian Leuty, Lelia Knyeart and Evelyn St. Pierre. William Snell was elected temporary president and Nell Giffin was elected secretary. The mission of the group, with the aid of ORTA, was to send 130 letters of invitation to retired Lake County teachers. A luncheon meeting was held at Studio Inn in Painesville with 62 attendees. ORTA President, James McDowell was the guest speaker. The following month, Evelyn St. Pierre presented the first draft of the Lake County RTA Constitution at the meeting. The Constitution was adopted. In 1969 the first directory appeared with a logo on the cover designed by Ruth Shaw. 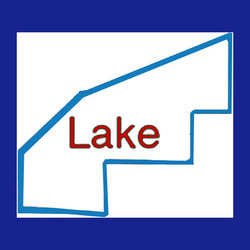 That logo is still used today as the Lake County RTA symbol. Over the years, revisions have taken place in the mission of the group. Nell Giffin wrote that the letters LCCORTA stand for - "let's cut capers over really terrific affairs" and we have been doing it ever since.